I like travelling and enjoy nice, delicious and tasty cuisines and drinks too. Hehe. In my previous visits to overseas in the last five years, I found not many malay restaurants available in Europe, Middle east, US, China and India. Why??? 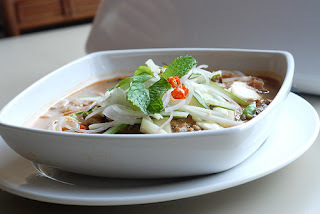 Despite Malay's richness in cuisine traditions and cultures, these specialties are not promoted to foreigners who seem not knowing the existence, originalities and differences between malay food prepared and served in each states in Malaysia and those of neighbouring countries. There is no doubt that with the evolution of history and migration of people to/from Malaysia bring/add/mix/rojak the malay cuisines. These are some of the restaurants I managed to gather. 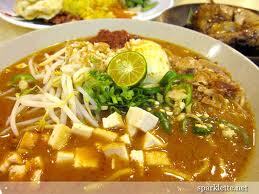 NB: Some of them offer malay cuisines together with other Asian cuisines. Restoran Melati: No. 21, Great Windmill Street, London W1D 7LB. Restoran Wau: No. 27, Old Dumbarton Road, Glasgow. 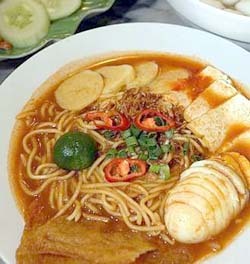 You can let me know other malay restaurants so that I can add to this page.